Given the choice, most people would probably prefer to have as much outdoor space as possible attached to their property. But with great space comes great responsibility, and the truth is that maintaining a massive garden can take a lot of time, money and effort. Plus, if you want to live in the city – particularly in Hong Kong, where space of any kind is at a premium – you’re likely to have the choice about what size of garden you want taken right out of your hands. However, there is hope for lovers of the outdoors with limited outdoor space in their possession. 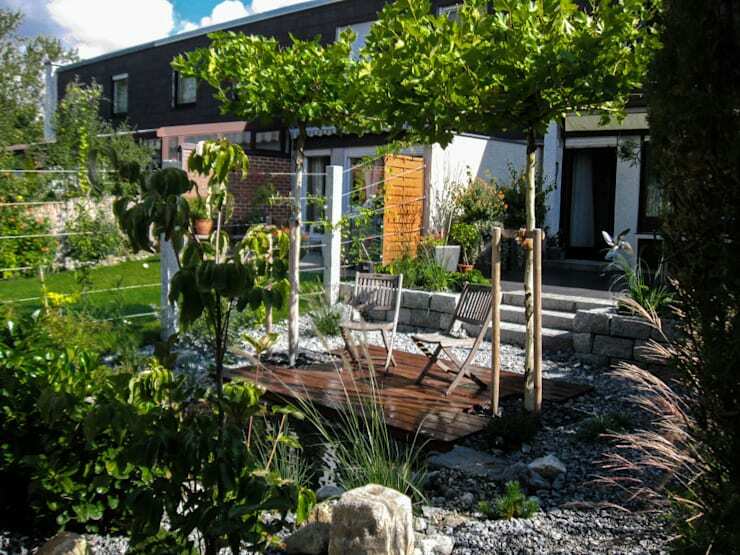 And that hope comes in the form of this stunning little garden designed by Christoph Harreiss of Gardscape. It proves beyond all doubt that even the tiniest bit of garden is packed with potential just waiting to be brought out. Let’s see how this designer managed to not only make the most out of an unpromising situation, but create something truly beautiful in the process. 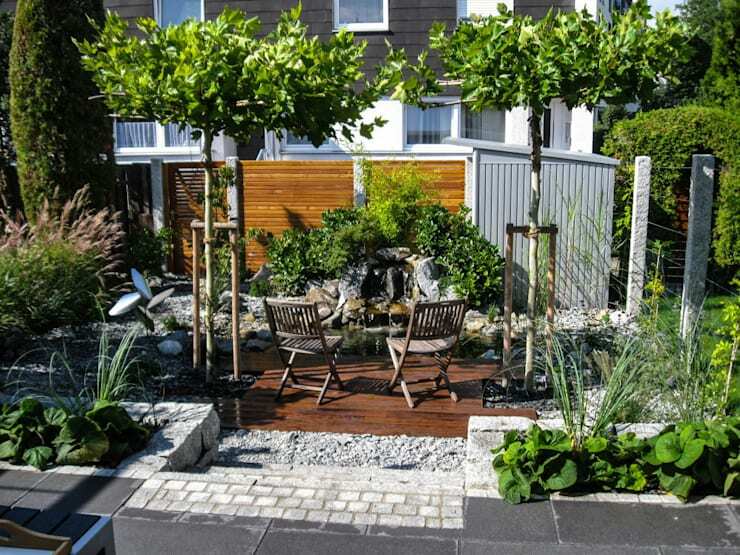 Lush green leaves play an important role in making this garden appear as beautifully vibrant as it does, but all the greenery is extremely carefully planned and contained. Strict demarcations between decking, pebbles, stone and flowerbeds ensure plenty of different forms and textures are fitted neatly into the limited garden space available. 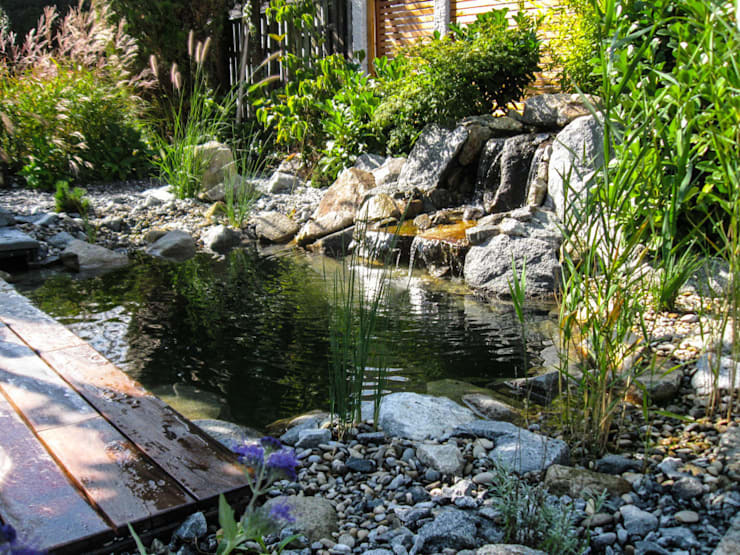 This water feature serves as the key point of interest in the garden, which is why it's located front and centre with the two deck chairs firmly pointed at it. It’s a powerful natural scene recreated faithfully in miniature; scale this up a bit and it would be exactly like a real waterfall. This view makes it even clearer just how little space was available to work with here – and just how impressive that makes the end result. 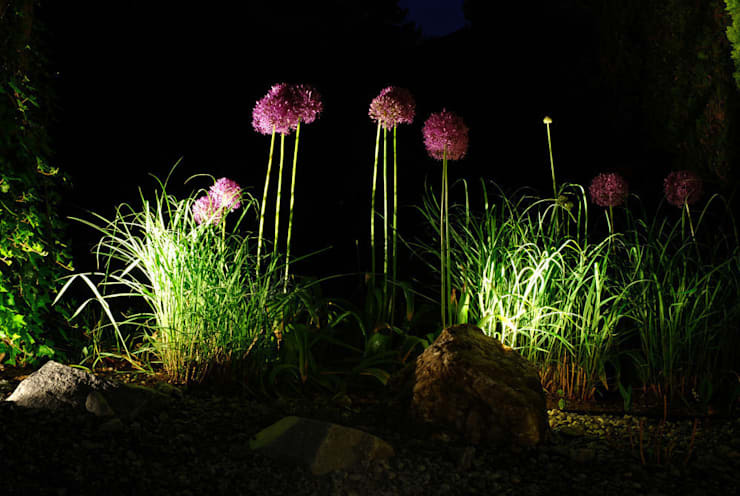 The lighting is as much a crucial part of this garden as the plants themselves. 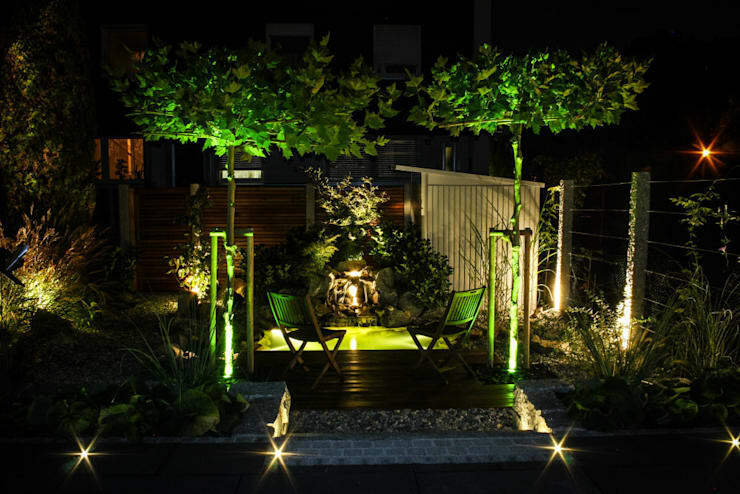 By night we can see how it’s possible to create a magical, surreal feeling with careful placement of concealed lamps. It’s the eerie shade of green chosen that makes this view seem so out of the ordinary. Picking just the right type of flowers makes all the difference to the ultimate feel of your garden project. 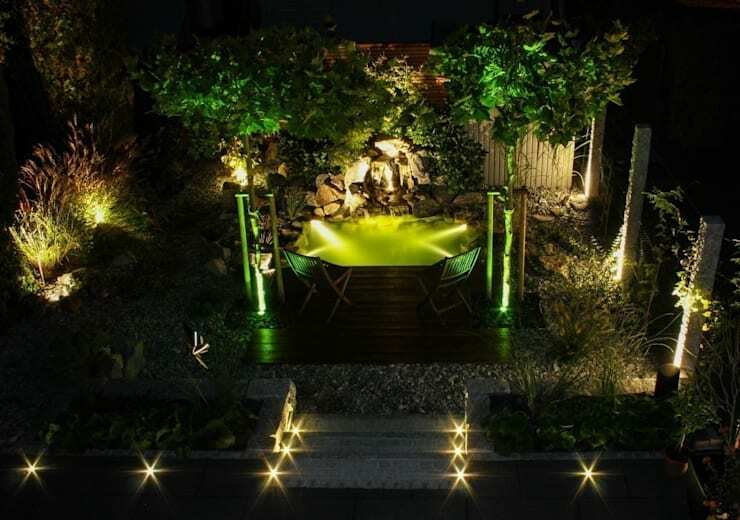 These are just right for the restrained-but-natural look of this garden, and the gentle illumination that comes below serves to perfectly highlight their beauty. Even more exquisite than that strange green layer of light are the bright underfoot lights that resemble fallen stars. What do you think of this project? Tell us here.